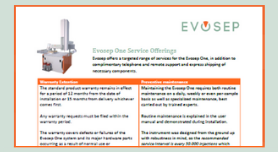 Evosep strive to provide fast and professional support and service. We offer a targeted range of services for the Evosep One, in addition to complimentary telephone and remote support and express shipping of necessary components. We are working with a network of expert service providers to offer local support.